Looking through to the next stage. This blog has been going for a long long time. It started as a site to share ideas and lessons I’ve learned in my career as a product manager for enterprise software products. Recently a bigger theme has started to emerge and coalesce. It’s more ambitious than my initial (lack of) vision. And it resulted in the Secret Product Management Framework, a better way to understand product management. And it raised a question: could I make the blog more valuable to you? Could I make the lessons and guidance more concrete and more actionable? Could I give you a roadmap for taking these ideas and applying them to your own product management career to create new opportunities? To speed up your effectiveness and your success? And the answer is, yes, I can do that. And how do I do it? By following my own advice in the “structure is good” post, and putting some more structure around the blog. It starts with the next post, which puts a selection of my previous articles into an organizational structure that makes it easy to see how they all tie together. I’ll follow this with more blog posts that fill in the blanks and give even more actionable techniques. I want this blog to help you move faster up the curve of product management effectiveness. Are you the target audience? Yes. Who is this blog for, and in particular, who is the “new” target for this blog? In reality, it hasn’t changed, but I’m going to make it explicit. This will help all of us. It certainly will help me with creating content. The primary focus is new product managers. I want you to understand the secret handshakes and arcane product management knowledge. 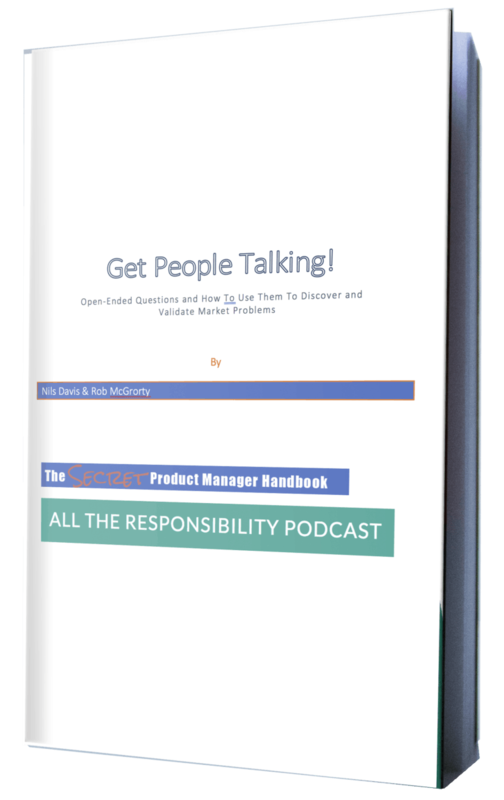 You’ll learn the answers to key questions: Are you suited to product management? What skills do you need? Do you have the right mindset? How do the jobs you’ve done in the past map to product management? How do you get the skills you need to become a good product manager based on where you are? On the other hand, if you’re an experienced product manager, you’re probably like me. You constantly want to learn new techniques, mental models, and approaches. If you are always on the lookout for new ideas and new information that will help you level up, you will continue find value here. What are three actions you can take today to make use of this information? Ha ha – just kidding. That’ll come later! Much the content on the blog naturally ties into the Secret Product Management Framework (SPMF). You can think of the SPMF as the North Star or guiding mental model – it’s a fundamental structure for thinking about product management. You’ll see this clearly in the next post, where I’ll show how the existing content ties into the context of the SPMF. This should make it easier to use the existing content more effectively. I will also use the V.A.L.U.A.B.L.E. feature spec rubric as a key mental model and organizing principle. The V.A.L.U.A.B.L.E. model and the SPMF work together and synergize powerfully. It’s worthwhile making those ties explicit. I did not understand what “secret framework” was, and I did not understand what V.A.L.U.A.B.L.E was either. I like your writing, but if these two are guiding pillars then maybe make it apparent in the design of the blog and add more clarity by not using acronyms and cover titles like “secret framework”, it adds confusion. My two cents – keep up the good work. Hi Tor! Thanks for the comment. I describe the Secret Product Management Framework and the V.A.L.U.A.B.L.E. template in two other posts that are linked from this one. I’ll make that more clear, though. I understand. My suggestion would be to try to talk about these things in plain words instead of terminology people need to look up – would make it easier for everyone.